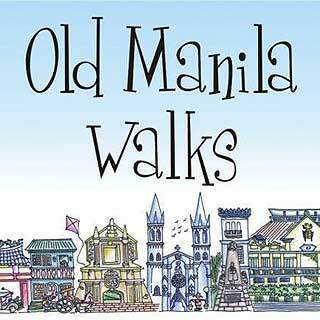 Since we're both named Ivan, people often mistake my tokayo for the blogger and me for the Old Manila Walks tour guide. We have the same interests when it comes to travel, that's obviously architectural heritage. 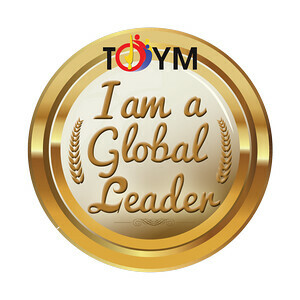 In fact, we both visited Mexico, Guatemala and Honduras this summer. We've collaborated on a lot of stuff, including Ultimate Philippines Tours. Now we've decided to bring my tokayo's own travels to you through Ivan About Town. 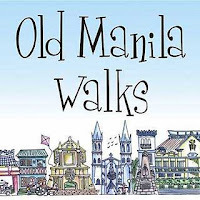 I'd like to introduce our first resident co-blogger, Ivan Man Dy of Old Manila Walks. The University of Santo Tomas sits right in the heart of busy Sampaloc district in Manila. This campus is a true urban oasis in this densely populated part of the city. Founded in 1611, U.S.T. 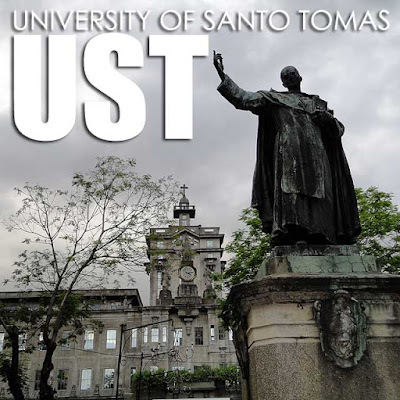 lays claim to being the oldest university in the Philippines and the school grounds is replete with notable landmarks to guide you through the institution's 400 year history. There is no better time to explore this historic complex as the school caps-off its fourth centenary celebration. And the best way to do so is on foot. Coming from busy Espana Boulevard, one immediately leaves frenetic street traffic; and upon entering the campus, is welcomed by the Arch of Centuries. 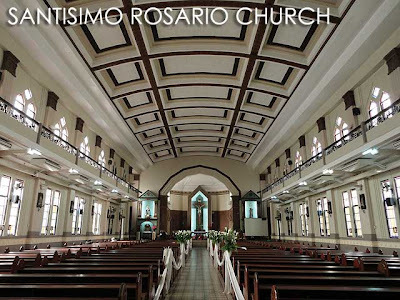 This university landmark is one of the few relics left from original Intramuros campus which was destroyed during WWII. 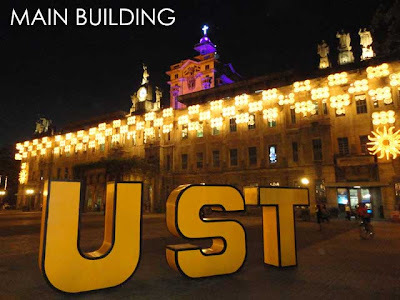 It was transferred and reconstructed to its current site in 1955 and today symbolizes UST's role as a "gateway in history to the finest breed of Filipinos." From here, a pleasant stroll down shady the walkway leads one to the Benavides Monument, another remnant from the original campus. Cast in 1891, it honors the school's founder Fray Miguel de Benavides, OP. If you look at floor at the back of the statue, there is a huge Chinese tombstone on the floor dating back to the 19th century. A few steps up and one is now at the Plaza Mayor which is dominated by the majestic Main Building. Easily one of the most famous structures on campus, this landmark building was built in 1927 and was once an internment camp for Allied POWs during WWII. Today, it houses the Museum of Arts and Sciences, the oldest in the country (established in 1871) and holds an eclectic collection of ethnographic, historical, natural and artistic exhibits including two-headed animals! 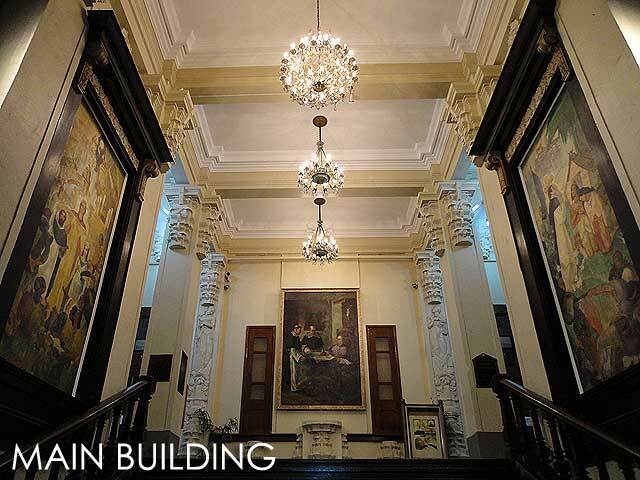 Just recently, the museum also re-inaugurated its Visual Arts Gallery where on can admire works by prominent historical artists such as Juan Arceo, Galo Ocampo, Carlos Botong Francisco and Fernando Amorsolo to name a few. Immediately west of the Main Building is the Botanical Garden and the Central Seminary (built in 1933) which houses the Santissimo Rosario parish, drop by to admire its classic Art-Deco interiors. 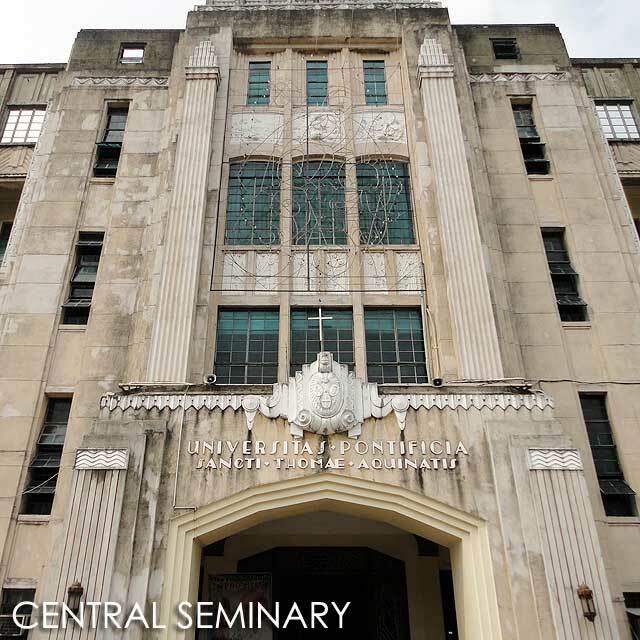 Cap-off your tour of the campus at the Quadricentennial Square at the back of Main Building. This delightful open space facing the Benavides Library features an interactive dancing fountain with a sculptural centerpiece called Tetraglobal by glass sculptor Ramon Orlina. Modeled by UST almuni Piolo Pascual and Charlene Gonzalez, this modern sculpture commemorates UST's four centuries of educational legacy and is a fitting end to your walking tour. Conceptualized, manufactured, bred and educated in the city of Manila, Ivan Man Dy is the feet behind Old Manila Walks. When he's not busy doing is first love (running his walks and talking about Manila), Ivan shifts to his second passion (traveling) and takes to small towns, big cities and occasionally the great outdoors. He dabbles as freelance features and travel writer to major dailies and has done occasional TV appearances. Now, if only he can host his own travel show. Before he finally took to the streets, he was an active museum guide as well as a staunch heritage preservation activist. Now, he has found his calling being seasoned urbanite, a self-designated life-long citizen and ambassador of Manila. Since 2005, he has led the thousands of happy walking hordes down his city's most historic quarters. Four years on and countless calluses later, he is still loving every step of the way.